Commitment To Safety – Mulkey Enterprises, Inc.
At Mulkey Enterprises we assimilate safe working practices into our everyday expectations. When tasked with providing stringent safety controls and compliances our customers can rest easy knowing that our employees are already proficient in bolstering a jobsite focused on returning workers of all trades home in better condition than they came in. 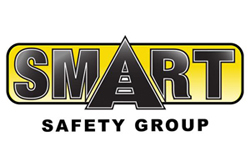 Mulkey has partnered with Smart Safety Gulf Coast, an independent safety management company to provide impartial internal audits above and beyond our client’s requirements. Safety is our culture.